It’s no secret that our world is entering a digital era. In this age of Google searches and Siri inquiries, it’s important to have a strong identity online. The best way to do this is by having an effective, appealing, and updated website. However, what is the point of having an engaging, user-friendly website if no one knows about it? For your website to be effective and help market your brand, you need to get the word out about it. There are several ways to take advantage of your partnership with Today’s Bride and make your website known and easy to find. It is always helpful to add credibility to your business, especially if you are just starting out. One great way to do that is by showing off your partnership with Today’s Bride with these vendor badges. Simply pick the logo you like, and copy and paste the link to your website. We are known for working with the best vendors in the area, so when brides see that you work with us, it will help add credibility to your brand. The more credibility you have, the faster the word about your business and website will spread. Having a listing on a trusted wedding website is a great way for new customers to find you. Thousands of brides visit TodaysBride.com every month to find possible wedding vendors. By having a listing for your business, they can easily learn more about the services you offer! Our listings showcase pictures, details about your business, a paragraph of content to share with prospective brides, your website, social media links, phone number, address, and more! It encourages brides to request more information directly from that page and leave reviews about their experience with you! Listing your company on a reliable and credible wedding resource website like TodaysBride.com will make you look more credible and will drive more clients to your website! It’s important to have a presence on social media. Millennials are all about perusing your Instagram and Facebook accounts to see photos of your work, testimonials, get contact info, and more. If they see that you haven’t posted since 2015, they’ll assume you’re out of business. Make sure the link to your website is active and working and is easy to find. You should post at least once a week – it can be about a wedding you just helped create, a promo you’re having, promoting your booth at a bridal show, or driving followers to your website! need more marketing help? We have the answers. You can make a gorgeous website and be active on social media, but if you don’t market your services, brides won’t know you exist. Bridal shows are a great way to market your business and reach hundreds of brides in a short period of time. Make sure they know about the website you put so much thought into by having the link displayed on your booth, flyers, and brochures. Prospective couples will refer to these when visiting your website, and having the url easy to find will give them a much more positive impression of you. Bridal show attendees are receiving so much information from so many different vendors. They may not have a chance to talk to you for long, but if they know how to get to your website, then they will be able to look at your work and get in touch with you if they are interested. Print ads are a great way to market yourself, as your ad will be constantly working for you for a full year without even thinking about it! The wedding industry is unlike any other, as brides continue to rely on magazines for important information – like planning tips, trends, inspiration, and finding vendors. 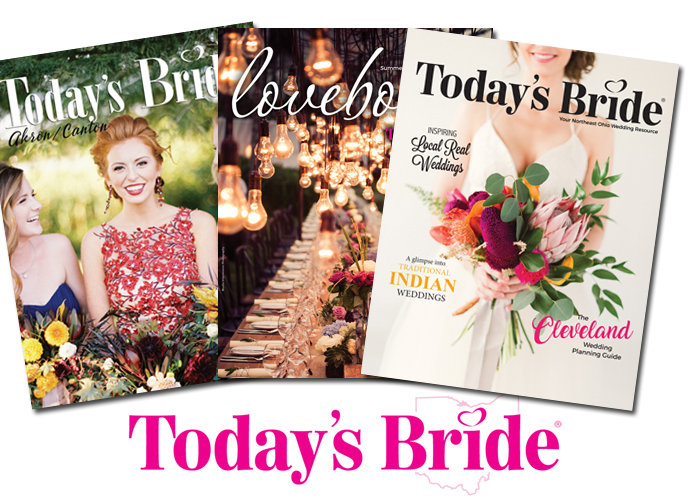 Over 70% of brides use a bridal magazine to help plan their wedding and they keep 4-6 of their favorite issues on average. Millennial consumers aren’t likely to make any sort of decision – especially about a large purchase – without checking out the website first, so make sure you include a link in your print ad! Check out these tips on how to create the most appealing and effective print ad. While making sure your website is easy to navigate and attractive is extremely important, you want to make sure you aren’t putting all of that work into a site that does not receive any traffic. Portray your company and yourself appropriately online, and show it off the best that you can. Millennials are known for looking at your website before ever contacting you, make sure it is known and easy for them to find!